It’s indeed a glorious season. We’ve been selected as one of the 20 best hotels in the world by Condé Nast Traveller UK Gold List. Also by Condé Nast Traveler US Gold List. These annual, much-anticipated lists feature travel writers’ all-time favourite hotels, restaurants, cocktail bars and beach clubs. What an honour, we are grateful! We share the limelight with a luxurious safari camp in India, an oasis of design in Utah and an eco-village beach hotel in Oman. We’re newly reminded of the Cape Winelands’ beauty, and of unique farm experiences here at Babylonstoren. 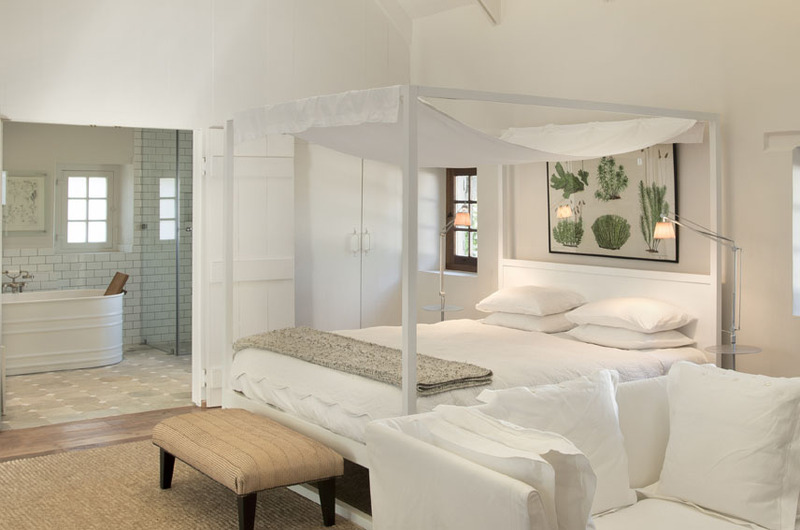 Harvesting seasonal fruit and vegetables from the garden, collecting eggs from the chicken coop, canoeing on the farm dam, feeding the donkeys and taking a walk through the indigenous fynbos up Babylonstoren koppie – these are simple pleasures that make guests feel grounded and refreshed. May we also say hats off! to Ellerman House and Singita, both African properties, for being included in the UK Gold List. 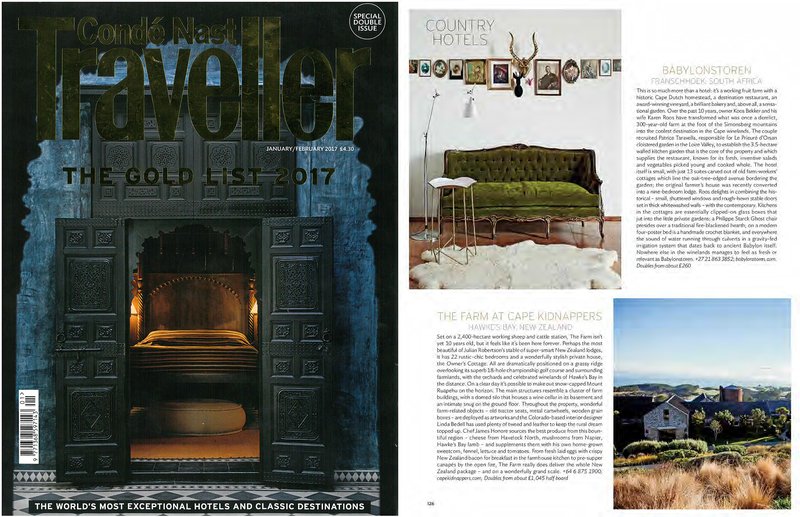 Let’s add andBeyond Phinda Vlei lodge, The Belmond Mount Nelson and The One & Only Cape Town for making the US Gold List. See the full Condé Nast Traveller UK Gold List. See the full Condé Nast Traveler US Gold List. Congratulations, you deserve this recognition! Great and well-deserved news – Congratulations! I have had the honor of staying at Babylonstoren and I have to say that 10 out of 10 seems average. The staff are unbelievable and go way beyond the call of duty to make you feel beyond comfortable and that nothing you require is ever too much trouble. The friendliness reigns supreme. I do not have the words to describe the paradise that is Babylonstoren, that little piece of heaven , bliss and beauty , nature and natural , walks that free your mind and remind you how wonderful the world can be. Experience this experience called Babylonstoren and you will understand the accolades. Thank you so much Petra. This is such a lovely message to receive. We hope to see you back on the farm soon.